A crazy and horrific accident at the age of 8 and the lightbulb moment 22 years later began a movement in an individual that will speak to everyone who knew there was an athlete deep down but didn’t know how to find it. 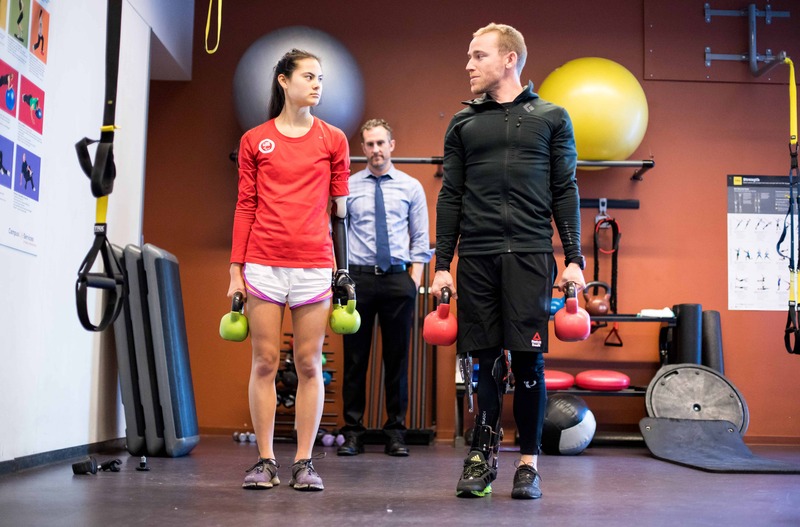 Max Conserva, right, instructor of Functional Fitness, an exercise and mobility program he developed to address his own injury, and a collaborator at the Orthopaedic Institute (OI), and Alex Hetherington CP, a prosthetist at the OI, train Amy Watt, 19, a Paralympic athlete, on using a new upper extremity prosthesis customized for gym and strength exercises and developed at the OI, at the Bakar Fitness Center at Mission Bay. 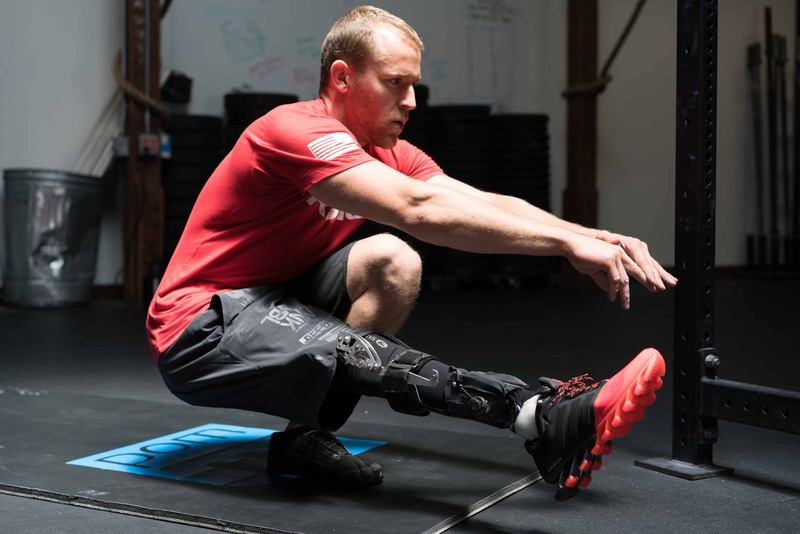 Max Conserva is an athlete, speaker, and coach who has transformed the way he thinks so he could transform the way he lives. A truly inspiring athlete.